Intrauterine growth restriction (IUGR or FGR) is when a baby is growing poorly in the mother's womb during pregnancy, defined as weighing less than 90% of other fetuses at the same gestational age. This generally does not occur from medical malpractice. IUGR is usually not the doctor's fault. Sometimes there are reasons for IUGR that the doctors can trace. Sometimes, there is no explanation. In cases where the result is a malpractice claim, it is because doctors do need to take action if a baby is known to be at risk of not growing in the appropriate expected range. What do you do? It depends on the severity of the IUGR and the other symptoms that the mother has that show a concern that the baby is at risk for hypoxia. Close monitoring-- such as regular ultrasounds and weekly nonstress tests -- to diagnose and treat intrauterine growth restriction may be warranted, particularly in the third trimester. The mother might also need to be hospitalized for continuous monitoring. Finally, there are many cases where IUGR reaches a critical mass and the obstetrician is compelled to perform an immediate C-section delivery. Sometimes, doctors just do not diagnose the IUGR. But our birth injury lawyers see far more cases where the IUGR is properly diagnosed by the obstetrician and the nurses just did not take the risk seriously enough to prevent a birth injury. The big fear with IUGR is the same fear we always have with kids in utero: not enough oxygen. In this case, the oxygen the baby gets comes from the placenta. Deprivation of oxygen is a leading cause of neonatal fatality and can also cause disability like cerebral palsy and other physical and mental injuries that result in long term developmental delays or permanent injury or death. Intrauterine growth restriction is when the baby is in the bottom 10% of growth for a fetus of the same age. Fetal growth restriction is not always a problem. Some of these fetuses are small because their parents are small. But it is a concern if the child is abnormally small because some problem or abnormality prevents cells and tissues from growing or worse, causes cells to get smaller. Usually, the culprit is lack of nutrients and oxygen needed for the proper development of organs and tissues. Infection can also be a cause. In our birth injury lawyers' experience, medical malpractice cases involving IUGR are usually the result of the doctors and nurses not taking the IUGR seriously. If the child is not getting enough oxygen or nutrients from the placenta, the situation is only going to get worse as the child gets larger and the demands for sustenance grows. Trying to get more days out of the pregnancy is often a foolish choice when the doctors should be delivering the child before the fetus suffers some hypoxic event that causes catastrophic injury or death. There are two types of IUGR: asymmetrical and symmetrical. Over two-thirds of the cases are asymmetrical, which means that the body size of the fetus lags behind the head size. This is the less serious of the two, although it still comes with risk, the biggest of which is probably preeclampsia in the third trimester. Symmetrical or global growth restriction IUGR is often more serious because the child's head is also not growing at the desired rate and the reasons for that are of greater concern. Fetuses with symmetrical IUGR typically show signs and symptoms of a problem earlier in the pregnancy than with asymmetrical IUGR. What If the IUGR Was Caused By Something Dumb I Did? Obviously, the first three are not the mother's fault. But the last two, substance abuse and, to a lesser extent, poor nutrition, are avoidable risk factors. It does not help your child's potential malpractice case if your lifestyle choices contributed to your child's IUGR. But they do not kill you or your child's case either. Ultimately, the key is what the doctors should have and could have done once they suspected IUGR, not how the problem began in the first place. January 2018, Pennsylvania $40,258,000 Verdict: Plaintiffs accused OB/GYN of using excessive force in performing vaginal delivery of 2nd twin in footling breech presentation, resulting in damage to the baby’s spinal cord leaving her permanently paralyzed from the chest down. The doctor's birth injury defense lawyer claimed that the baby’s paralysis was due to intrauterine growth restriction which occurred several weeks before the delivery. However, the evidence from the prenatal records did not support this defense and the jury found the doctor was negligent and awarded $40 million in damages. So in this case, the doctor tried to use IUGR as a defense to the claim. Obviously, it failed. August 2017, New York $396,328 Settlement: Mother was admitted to defendant hospital for delivery. Pregnancy was high-risk due to intrauterine growth restriction and oligohydramnios, but the delivery team failed to continuously monitor fetal heart rate. When fetal monitoring strips were eventually set up signs of fetal distress were immediately detected and the baby was delivered via emergency C-section. The baby suffered oxygen deprivation during delivery and was born with permanent brain damage and cognitive impairment. 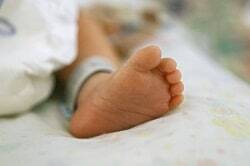 Malpractice suit alleged that the hospital staff was negligent in failing to immediately and continuously monitor the baby and failing to timely delivery her via C-section. In this case, it is hard to understand why the verdict was so low. Either the child was not seriously injured or the plaintiff's claim had real holes. October 2017, New Jersey $750,000 Verdict: Parents sued OB/GYN after their infant daughter died in utero at 39 weeks gestation and was delivered stillborn. Parents alleged that the defendant breached the standard of care by failing to order an ultrasound or refer her to a specialist and failing to properly measure fundal height after she reported vaginal bleeding. Defendant claimed that the stillbirth was due to many abnormalities in the pregnancy, including intrauterine growth restriction, and not poor prenatal care. A jury in Monmouth County awarded $750,000. August 2014, Illinois: $525,000 Verdict: A 24-year-old woman at 29 weeks pregnant visited her OB/GYN at 26th Street Medical Center in Chicago for an ultrasound. The results indicated the baby was experiencing intrauterine growth retardation. The radiologist sent the results to the OB/GYN with instructions that a level-two ultrasound was necessary to confirm the diagnosis. The instructions were never given to the woman and she was sent home. She returned the following month with concerns that the baby was moving irregularly. Upon observation, it was determined the child was stillborn and had to be removed. The woman sued the OB/GYN and his practice for negligence. Plaintiff claimed Defendant should have referred her for further testing per the radiologist’s instructions. Defendant argued that Plaintiff was informed of the additional ultrasound but did not show up because the Plaintiff may have believed the child was stillborn and was in denial. A Cook County jury returned a $525,000 verdict for the Plaintiff. November 2010, California: $21,060 Verdict: A woman received treatment at Queen of Angels Hollywood Presbyterian Medical Center during the majority of her pregnancy. After 6 months, she lost the fetus due to an intrauterine growth restriction and required surgery to remove the baby. She sued the hospital and her physicians for medical malpractice. 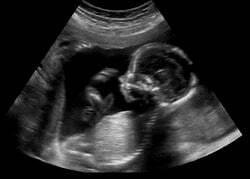 Plaintiff claimed Defendants failed to detect and treat the fetus’ condition. The matter proceeded to trial where a Los Angeles jury rendered a $21,060 verdict. April 2010, California: $3,325,000 Settlement: A 33-year-old woman presented to her obstetrician to discuss plans on having children. She was found to have a lack of immunity to chicken pox. Three months after the appointment she became pregnant. Within her 13th week of pregnancy, she was sent to a second obstetrician for treatment with anti-chickenpox immune globulin (VZIG) after she came in contact with her mother who had active shingles. However, the obstetrician did not administer treatment. Three weeks later she broke out in chicken pox that was successfully treated with antibiotics. A perinatologist interpreted ultrasounds at 19 and 24 weeks as having no abnormalities. At 32 weeks an ultrasound showed intrauterine growth retardation and calcifications in the liver as well as chickenpox in the amniotic fluid. The child was delivered via C-section. The baby was born with severe neurological abnormalities including an absent gag reflex, severe reflux, partial aplasia of one leg and requires 24/7 oxygen therapy. The mother sued her physicians for medical malpractice. Plaintiff claimed she should have been vaccinated prior to her pregnancy and been administered the VZIG after her exposure to chickenpox. Defendants denied liability, claiming all actions were within the standards of care. The parties agreed to settle prior to trial for $3,325,000. March 2008, New York: $16,000,000 Verdict: A woman sought treatment from an obstetrician at State University of New York Health Science Center. The pregnancy had many risk factors, such as a congenital abnormality, that divided the woman’s uterus into two cavities and here is a risk of intrauterine fetal growth restriction. A Cesarean section was performed at 38 weeks and interrupted the oxygen flow to the infant. She was born in full arrest and had to be revived in the delivery room. She ultimately suffered brain damage that resulted in cerebral palsy, mental retardation, and a seizure disorder. Her mother sued the obstetrician for negligence. Plaintiff’s expert witness testified that Defendant’s treatment during pregnancy fell below the standard of care. A New York judge rendered a $16,000,000 verdict for the Plaintiff. November 2007, Michigan: $450,000 Settlement: A woman, pregnant with her third child, had a history of high-risk pregnancies due to hypertension. She was admitted for testing at Regional Medical Center after experiencing contractions and brown vaginal discharge and was observed at being 2 cm dilated and having spontaneous deceleration of the fetal heart rate. She was stabilized and discharged. She returned three days later with similar complaints and was soon transferred to Sparrow Hospital with more frequent and intense contractions. A C-section was performed and the infant was delivered at only 2 lbs. 4 oz. He suffered from intrauterine growth restriction during the pregnancy due to a lack of oxygen that ultimately led to brain damage and diagnosis of cerebral palsy. The mother sued the hospital and its physicians for negligence. Plaintiff claimed Defendants failed to timely diagnose the child’s condition. Defendants contended all actions were well within the standard of care but made a $450,000 settlement offer which was accepted. March 2007, California: $117,182 Settlement: A mother-to-be sought prenatal care from physicians at American Women’s Medical Clinic. By her fifth month, it was revealed the infant suffered intrauterine growth restriction. The infant was tragically delivered stillborn. The mother sued the physicians and American Women’s Medical Clinic for negligence. Plaintiff alleged Defendants failed to properly perform their duties during her prenatal treatment. The parties agreed to settle for $117,182. Brain bleeds in newborn babies can lead to lifelong injuries, including cerebral palsy. Not every brain bleed cause a severe injury or are the result of medical malpractice. But there are too many children harmed forever and killed because the OB/GYN delivering the child did not follow their training and went down a path that a reasonable physician simply would not have chosen. If you want a lawyer to fight for you and your child, call our Maryland medical malpractice lawyers at 800-553-8082 today or get a free, no obligation online consultation.